With Penn’s Alumni Weekend running from May 15th through May 18th this year, we’re taking the month of May to salute some of our amazing M&T alumni. 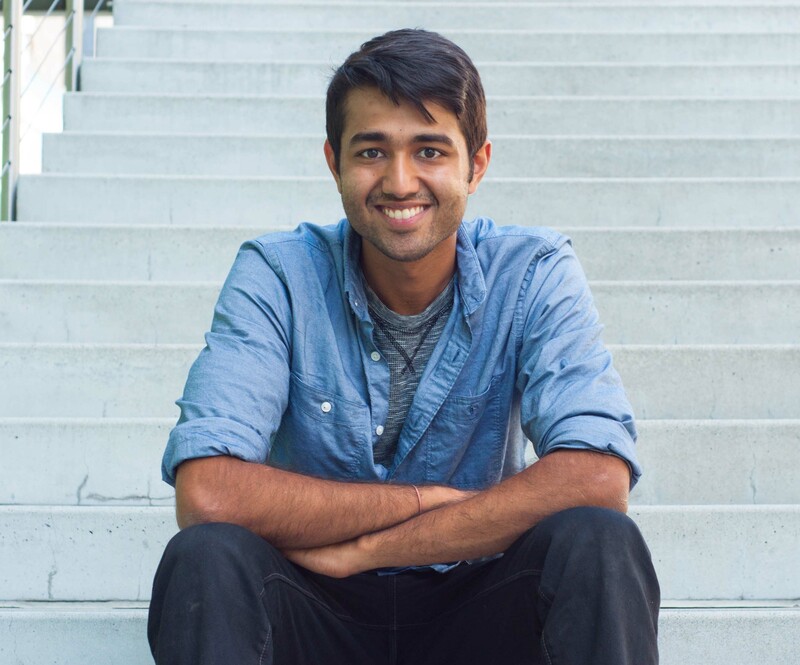 This special A Day in the Life post comes to us from M&T alum Potluck Mittal, currently a Software Engineer at Clever. I work in the edtech industry. My company, Clever, builds software that makes it easy for K12 schools to use technology in the classroom. I’m an engineer on the Instant Login team; we’ve developed a Single Sign On portal, so that students only have to manage one username and password to access all of the educational apps they use in class. Think Facebook Connect for education. I build products and features within the larger Instant Login product. I got up at 8:15 this morning. For someone who struggled to get up in time for his noon classes in college, I’ve really embraced the “real person” lifestyle since moving out to SF. Started working at 9:15, and left work at 7. My company has extremely flexible hours (some engineers get in after 11 every day), but because I’m very much still learning how to be a good engineer, I derive significant value out of working longer than I “have to”. There’s a strong positive correlation between the number of hours I put in and how effective I am, even at the margin. And I think it’s important to have a healthy work-life balance, which means I try to leave early enough to see a friend, watch basketball, or do something else in the evening. Clever Instant Login has traditionally been a portal. Students log in and then see the list of applications authorized for their district. I’m now working on helping Instant Login serve more as a platform; that is, a way for applications to use Instant Login to power students signing in, without needing to go through the Clever portal. So a district can add an Instant Login Link to, say, Khan Academy, to their district website, and students click on that, log in with Clever, and are directly taken to KA. My current project here is to make it easier for district or school administrators to use IL Links. In addition, because we’re approaching the end of the school year, we’re starting to prepare for Back To School season, which is later in the summer when schools start to update their rosters for the new school year. That’s when Clever experiences the highest load on our systems, and we’re trying to be well-equipped in advance this year. Over lunch, I was chatting with the CEO, the VP of Engineering, some of my fellow engineers, and some members of the School Experience team. Clever still feels like a very small company, and the founders strive to know everyone, so everyone across the organization is quite accessible to me. The Instant Login Team had our bi-weekly Sprint Planning meeting today. We operate in 2-week Sprints where we choose which projects we are going to focus on in the short term, and make sure we’re making progress towards our Quarterly goals. Although in general I prefer fewer meetings, so I have more time to write code, Sprint Planning always feels really energizing and productive, and helps our team measure how the previous sprint went. Our last sprint was a success! Our codebase is split across 100+ repositories, and we use a lot of different technologies, frameworks, and libraries. Every new project I’ve taken on thus far has entailed learning 1 or 2 unfamiliar tools, and I’m starting to build a sense myself for which tools to use to solve various types of problems. Having that awareness is really powerful, and I love the environment at my company which has fostered this learning. I initially moved out to San Francisco to work at Y Combinator on the How to Start a Startup class. It was an amazing opportunity to start off my career, and it helped me realize that I really wanted to be at a startup myself. Some of my previous experiences have led me to decide I want to spend the rest of my life working on problems in education, and that probably will manifest in me building an edtech startup in the next 5-10 years. Until I’ve figured out what specifically I want to work on, I’m getting an understanding of education, and raising my confidence in my ability to build whatever technology I decide I’ll need. After looking at a number of different edtech startups to join, I felt good about Clever (a YC company) being the best place I could go in the short term to work towards my long term goals. My time at Penn and M&T gave me a lot of varied experiences working with people who were different from me. I started to develop a framework, which I’m always iterating on, towards the ways that I can be effective as a contributor and also the ways in which I want to grow. Memories from Penn that float to mind include late-night war rooms working on PennApps, a particularly heated Dorm Room Fund post-pitch discussion…experiences that were really defined by the others I was with. And some of my M&T classmates were my most inspiring and innovative peers. I had a number of experiences to lead me to believe education was the path I wanted to go down, but even then I wasn’t fully sure. At some point, I decided to just try mentally committing, and it felt right. It’s really helpful to focus. If you’re not sure what to focus on, make a hypothesis. It’s important to make iterative steps, rather than getting intimidated by the large question of what you should do with your life. Potluck is currently a software engineer in San Francisco, CA. He graduated from Penn and M&T in 2014 with a Bachelor of Applied Science in Computer Science from Penn Engineering and a Bachelor of Science in Economics from Wharton with a concentration in Operations and Information Management. Pulak’s favorite movie is Her and he enjoys reading, traveling, and discovering new music.